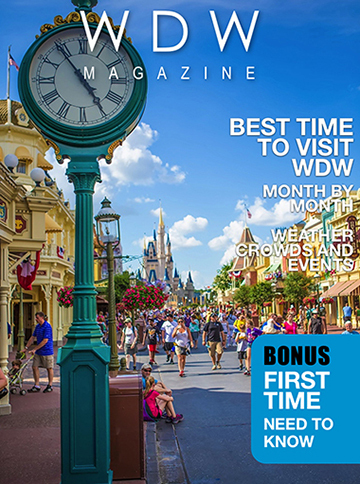 Welcome to issue 4 of WDW Magazine. I can’t wait for you to see what’s inside because this month we are going to take a look at my favorite question, that’s when is the best time to go on a Walt Disney World Vacation? I love talking about and trying to pick the best week of the year to visit WDW. A Walt Disney World vacation is a magical thing. It’s something to anticipate, plan for and have a great time on. Go ahead. Pick your week. So here’s what’s inside this issue. First we are going to take an in-depth look at all the factors that go into choosing when to go to WDW. We’ll look at the Crowds, the events, the prices and even the weather. After that Dave Shute and I will take a month by month look at the best weeks to go. That’s really good. Finally, some of our contributors will pick their favorite week to visit. It’s really good stuff. In our First Time Visitors Corner Dave will discuss how to choose when to go. We’ll talk about taking the kids out of school and show you some of the best planning tools for putting together your plan. This months Best of WDW features the Wilderness Lodge, Be Our Guest (including the recipe for The Grey Stuff) and the Carousel of Progress. Great choices by our Facebook page visitors. In Bring the Magic Home, Lynn Svenson (The Photographers Wife) shows how to build a really neat countdown calendar to help you prepare for your trip. 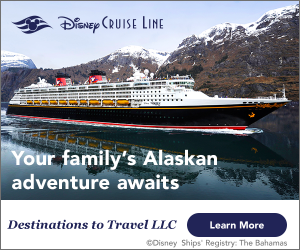 Finally in Around the World we look at The News, Did You Know we take a look at the Disney Cruise and we even find a couple of rumors. Like I said, I can’t wait for you to get started. So go, get started. What are you waiting for?